It is the aim of the Careers department that all the girls, on leaving the school, should be well-informed about the world of work and very well prepared to enter and succeed in the career paths of their choice. Careers Guidance is available on request at any stage. Formal careers advice begins in Year 9. Before choosing their GCSE options, the girls go through programmes designed to assist their decision-making process. This is delivered by their tutors and is part of the Life Skills course; it is supported by an Options Evening and a day’s work experience. The Careers department works with with our local business partner, Roche Diagnostics, in conferences for girls in Years 9 and 10: Looking Ahead & Setting Goals, Working Together as One and Pushing Your Boundaries. The girls are encouraged to develop new skills, work as a team and to be ambitious and creative in their consideration of future careers. The Maths and Science departments work with the Careers department to promote STEM related careers including engineering based activities at school and at local firms. There are many opportunities to participate in other career-related activities. During the summer, Year 11s will undertake medical, veterinary, engineering and law courses. Year 10s and above are very welcome to attend the Business Breakfasts; these popular events are organised by the Sixth Form and focus on certain broad career areas of their choice with a panel of speakers invited to give up-to-date advice. 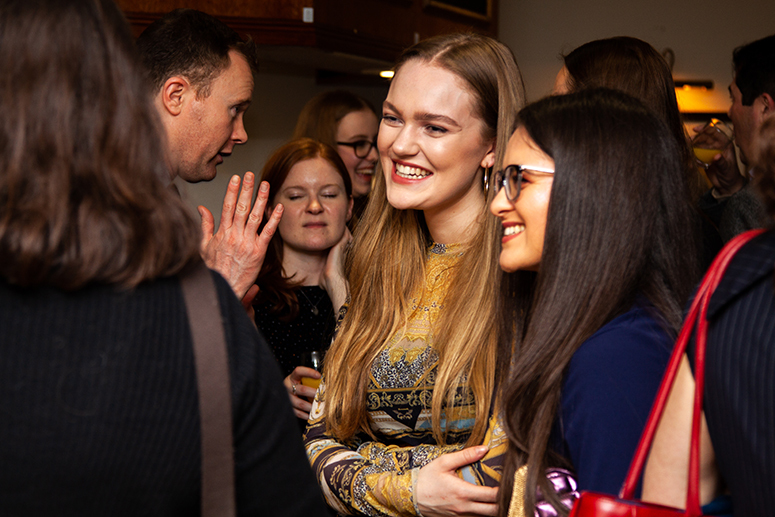 In February each year, all girls in the Sixth Form are invited to a Networking Dinner that widens aspirations and often provides access to work experience and internships. The school continues to develop its business links and girls have recently been invited to participate in IBM conferences. In the summer term, Lower Sixth students are encouraged to engage in activities that will enhance their CVs and personal statements. In recent years this has included internships at Burberry, banking in Beijing, an International Relations course in Geneva and English teaching in China. The Careers department is keen to encourage professional sponsorship for degrees. Recent successes have been with Land Rover, and KPMG, and the department is also very willing to support applications to Higher Level apprenticeships and School Leavers’ schemes.